Ahead of our attendance at day 2 of the New York Home Fashions Market September 2017 meeting I thought I would review a paper we produced some time back about textiles & allergies. It also coincides with the released of our wrap up report and video blog of the Summer 2017 Seminar Series organized by Texworld USA, in New- York. 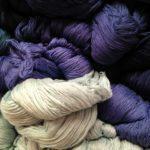 I used a lot of this content at my recent key note at the Textile Sourcing show seminars series. The data in the article is as relevant to today’s industry experts as it was when it was originally published. Did you know those facts about textiles & allergies? The US National Institutes of Health and the Centres for Disease Control have both recently highlighted the sharp rise in incidence of allergies and asthma in America. There are many legal pitfalls when testing textiles for allergy claims and confusing terms like ‘hypoallergenic’ and ‘dust mite proof’ can make it harder. This article will assist you in deciding which path to take as a textile manufacturer and will save you time and money in product development. What is the difference between an ‘allergen barrier’ and ‘dust mite proof’? This is a common area of confusion. The phrase ‘dust mite proof’ is often used but is more appropriate to a filling. It often is meant to refer to the fact that dust mites do not breed and multiply in the environment often due the filling having a particular treatment. It is important to note that when a textile is claiming that it is an allergen barrier, it is claiming to block allergen particles such as Fel d 1 particles (i.e. cat allergen) which are less than 10μm in diameter and the mite faecal pellets, Der p 1 which ranges between 10μm and 40μm. The dust mite itself has a size of 250μm to 300μm. The best way to assess allergen barrier is using tests such as the Allergen Barrier Test with Airflow and Simulated Use Allergen Barrier Test. The degree of anti‐dust mite activity of treated textiles in a controlled environment can be assessed on a small scale using the AAATC 194‐2008 test method and is commonly referred to as the ‘heat escape’ method. Large climate controlled chamber models or field tests may give more meaningful data. While fulfilling this test make sure the textile still has good comfort physiology. The comfort of a fabric can be assessed by a number of parameter such as Air Permeability (ISO 9237) and Water Vapour Resistance (ISO 11092). 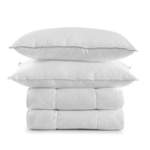 Is thread count or pore size helpful for allergy claims? CONSUMER PRODUCTS TREATED WITH PESTICIDES The presence of microorganisms (bacteria, fungi and viruses) in or on various items has become of increased concern to consumers. 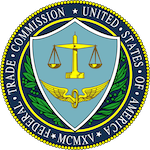 FTC TO MATTRESS COMPANIES: DON’T PAD YOUR GREEN CLAIMS If you or your clients make environmental marketing claims, don’t sleep on three actions the FTC just announced against companies that sell mattresses. 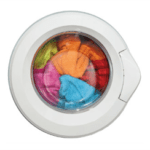 HOME FASHION PRODUCTS ASSOCIATION HFPA serves to advance the growth of the global home fashion product industry by setting standards for excellence through technical product compliance, advocacy, and awareness efforts. HFPA PUBLISHES VOLUNTARY STANDARDS FOR BEDDING The Home Fashion Products Association (HFPA) has published a voluntary standard for the makers of quality residential bed sheets, aimed at helping customers receive high-quality products. INNOVATIONS IN TEXTILES CALL FOR INNOVATIVE TESTING SOLUTIONS Innovations in fabric like silver nanoparticles to control odors caused by bacteria demand more rigorous testing.